Congratulations to this group of seniors on making their commitments to throw in college next year. 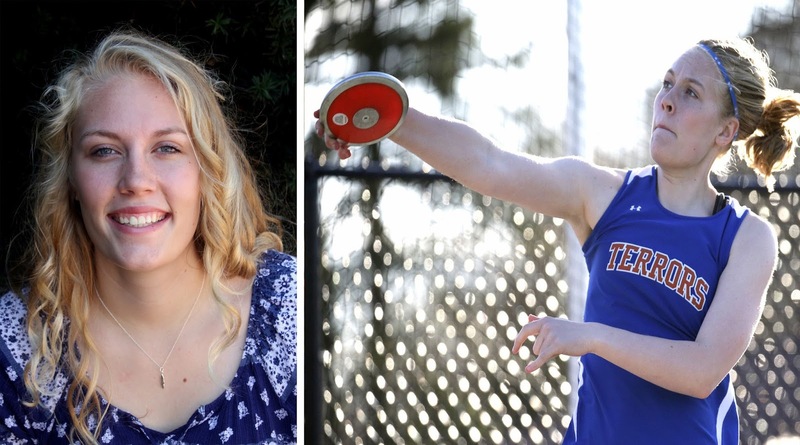 It is a special group of athletes many of whom have been training with Madison Throws Club since they were in their freshman year of high school. Countless hours of training, determination, dedication, have led to this...CONGRATULATIONS! Emily will be attending University of Minnesota competing in the BIG TEN. Emily had a break out junior season where she PR.d in the shot put at 42'10" and the discus at 147'11". Her discus PR came in the biggest meet of the year and was good enough to win the WIAA D2 Girls Discus Title. 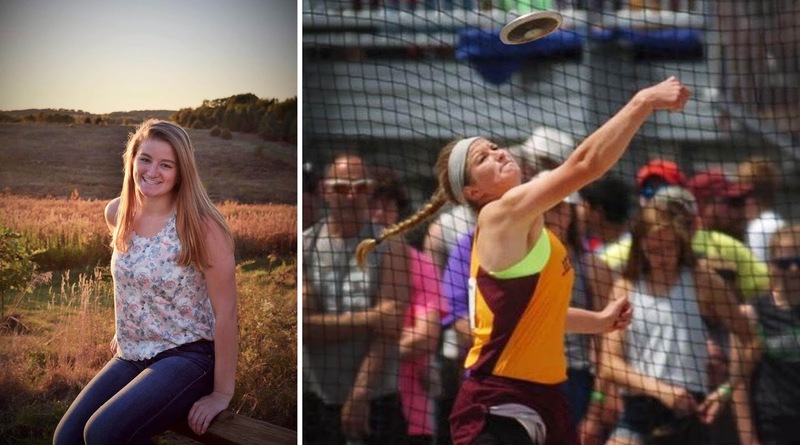 Emily will join several other MTC throwers who became GOPHERS, following the footsteps of Kailee Kamps, KeKe Burks, Kaitlyn Long, Kiley Sabin, Tess Keysers, and Erin Dunning. 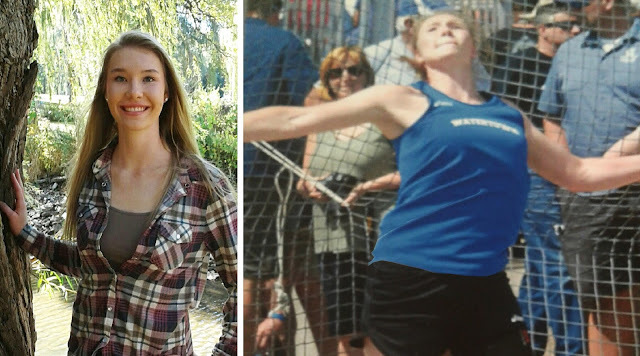 Natalie took her tremendous potential she showed her sophomore year and turned it into huge improvement her junior year, moving her discus best from 119'8" in 2016 to 140'8" in 2017. She finished runner-up at the WIAA D1 State Championships. Natalie will look to improve even more this year and beyond when when she joins the University of North Dakota throwing program under the guidance of Drew Jones. 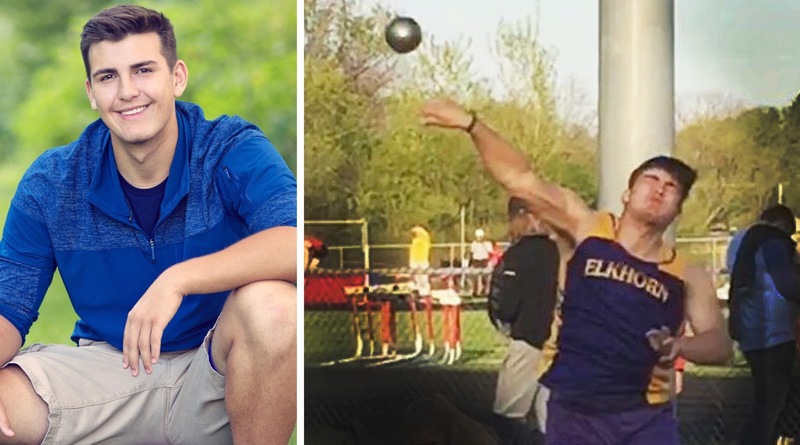 Evan finished his junior year on a high not, qualifying for the WIAA State meet in the Shot Put and had a P.R. of 51' 3.25". Look for Evan to become a dual threat in the discus as well his senior season. Evan will continue to throw after graduating for DIII - University of Stevens Point. ALYSSA RIVEST, Watertown High SchoolAlyssa had a breakout season as a junior, moving her shot put P.R. to 39'5" and her discus P.R. out to 136'1". She finished on the podium in the WIAA D1 girls discus in a stacked field of MTC throwers who swept the top 6 places. Alyssa will continue to throw in 2019 at the University of Northern Michigan. Emma qualified for State in both shot put and discus in both her sophomore and junior year. Emma won the WIAA D3 State Discus Title and was the silver medalist in shot put in 2016. Her shot put best is at 41'7.5 while her discus P.R. of 144'9" is in the Top 50 in WI prep history. Emma will compete collegiality at Grand Valley State University. Lauren qualified for State in both the shot put and discus. Finishing her junior season with a discus P.R. of 123'6" at the WIAA D1 Girls meet to finish 8th. Her shot put P.R. is 39'4.5" and she is poised to join the 40' club her senior year. After graduation, Lauren plans to attend the University of Wisconsin - Milwaukee. me at www.throwbigthrowfar.com Video Analysis, Throwers Community, Workouts, Drills, and more. contact me with questions about other options. Here is the UPDATED RANKINGS reflecting all of the results from the 2017 season. 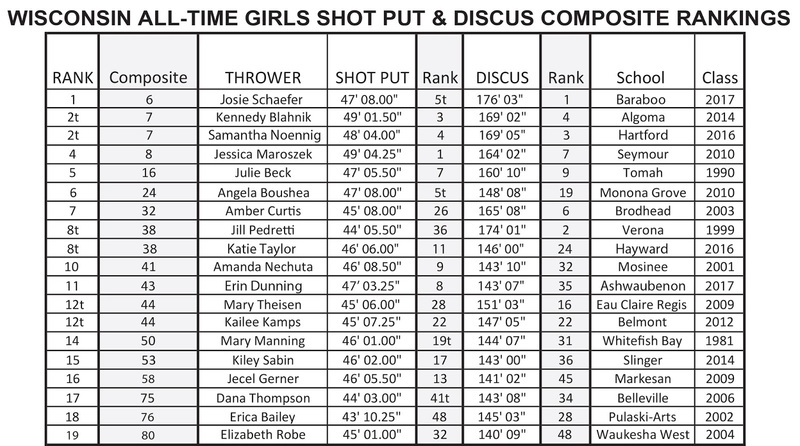 WISCONSIN ALL- TIME COMPOSITE RANKINGS for the GIRLS THROWING EVENTS. 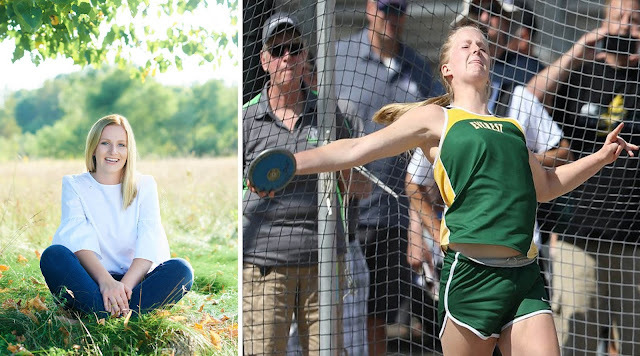 Of the TENS of thousands of prep girls who have picked up a shot put and discus in Wisconsin over the past 50 years, only 19 girls have throws that rank in the top 50 of BOTH the SHOT PUT and DISCUS events. The COMPOSITE RANKING adds each athlete's rank on the top 50 ALL-TIME LIST in both events. The lower the score, the better the combined ranking. A HUGE congratulations to Josie Schaefer (Baraboo '17), for moving up on the list to #1 ALL-TIME, passing Samantha Noennig and Kennedy Blahnik who were previously tied for #1. Josie moved up 20 spots on the Shot Put list in her senior year. Capping a career were she had already collected 2 State Discus titles and the #1 best discus throw in WI Prep history. Her Shot Put P.R. of 47'8" came on her final throw of the state meet to win her 1st Shot Put State title surpassing reigning shot put champ, Erin Dunning by 4.75". Her P.R. tied Angela Boushea for the 5th best throw in State History. While there was some movement of positions of the top 19 on this year's list, no athletes moved on the list. 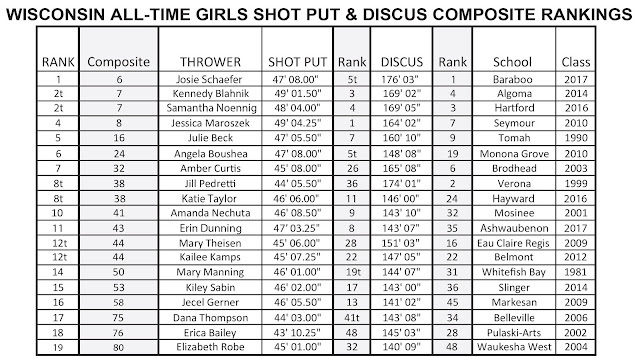 As we continue to see massive improvements in the Girls SHOT PUT and DISCUS around the state, no one was moved off the list this year. Erica Bailey holds on to the #18 best combined spot, however her 43'10.25" shot put mark stands at #48 on the all-time shot put list and could get bumped next year. Elizabeth Robe holds the #19 combined spot, but her 140'9" discus P.R. from 2004 stands at #48 on the discus list and could get wiped off the top 50 list next year. See the WISCONSIN ALL-TIME TOP 50 LISTS in every Girls Event, carefully compiled by Mark Rongstad and Mike Krugel, now updated by Paul Tilleman! Thank You! See the 2017 WISCONSIN GIRLS TRACK and FIELD HONOR ROLL, thoughtfully compiled by Dave Figi for over 20 years! Thank You! 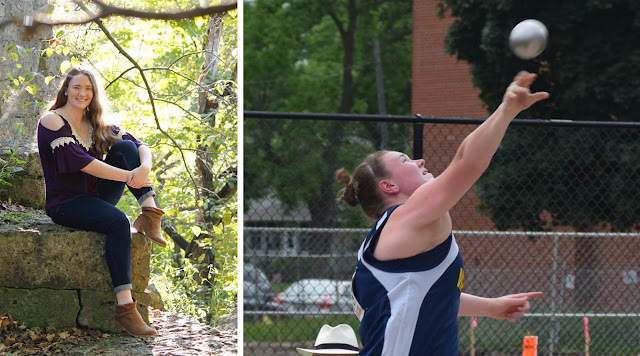 Sam Noennig has thrown some shots and discs pretty far in her life. Her performance at the USATF JUNIOR NATIONAL CHAMPIONSHIPS in Sacramento, CA over the weekend was her biggest performance of her life on the biggest stage to date. Sam bested the field of the top 21 under-20 year old shot putters in the country with a new lifetime best of 55' 0.75" (16.78m). This comes after a red-shirt season at Arizona State University that allowed Sam to train under coach Brian Blutreich but compete sparingly unattached. Winning the meet will allow Sam to represent the United States at the JR. Pan-American Games in Peru later in July. It is the 2nd U.S. Team Sam has made, she competed in Columbia at the World Youth Games in 2015 after qualifying in the Discus with fellow Wisconsinite Josie Schaefer.